Jackie Janmohamed was on Sunday elected the new chairperson of the Cricket Kenya making history as the first woman chairperson to hold the post that was previously held by Samir Inamdar who held the post for seven and a half years. After being elected the new chairperson promised to revive the Kenyan sport that at one point was a strong force in the world cricket circles. She said her immediate goal would be to see the U-19 and senior teams qualify for the Cricket world Cup in Australia and New Zealand. Janmohamed, a lawyer by profession also said she will reach out to the Rift valley and Coast who did not send their delegates for the meeting and elections on Sunday. “I would like to make a covenant of uniting everyone for the benefit of the sport and my only agenda will be to grow the sport and achieve measurable results.” She said. Other officials who were elected on Sunday included Anil Patel as vice-chairman, Chidam Subramanian as treasurer and Kalpesh Solanki as development director. She served as a legal advisor to the old Kenya Cricket Association and will be responsible for implementing the findings of a comprehensive review that was carried out in the wake of Kenya's disastrous 2011 World Cup campaign - their worst performance in a World Cup. Kenya currently lie sixth in the ICC World Cricket League Championship, with the top two teams in the group automatically qualifying for the 2015 World Cup. 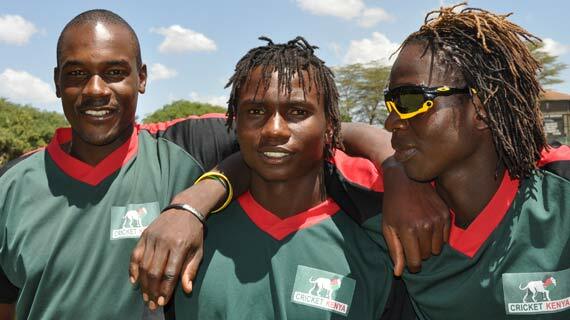 Kenya have six points with two matches to play. Ireland top the table with 13 points, Scotland are second with 11. Should Kenya miss out on automatic qualification, they will still have a route to the World Cup via the qualifying tournament in 2014.